We are frequently asked the question “How much does it cost to start a homestead?“ so we thought we’d start a homestead expense report series. Every month we will document how much money we’ve spent on our homestead-related activities and also on running our household. This is to track both our own progress and also to give you some insight as what it costs to start a homestead from scratch. While the year 2015 was full of chaos, 2016 is off to somewhat of a slower start and January has been a calm month on our homestead. Jesse and I have been steadily working 14-16 hours per day and have been on a wacky sleep schedule. When we took six months off to start this entire adventure, we had to let our businesses run on their own and we’ve had a lot of cleanup to do! As far as expenses go, this has been probably our cheapest month yet. We spent a lot less money on food, household items, vehicles, and on tools compared to the first, second and third months on our homestead. 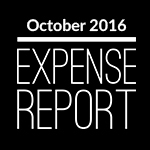 The fact that we had a cold month meant that expenses were going to be higher which was predicted. We spent more on generator fuel, propane, antifreeze and fuel treatment. For any new readers, our goal is to eventually move away from needing so much money (we accept that we will likely never be 100% free from it) but it doesn’t happen overnight. We still have a land payment, car payment and even a generator payment. We hope to wipe out all debt in a short amount of time, but right now we have more important uses for those funds, such as growing our business. It’s a balancing act and we simply see money as a tool to get what we need, and we use it to our advantage. The idea is that while our expenses are on the higher end right now, they will diminish over time as we get close and close to being self sufficient. Here is an overview of what January’s expenses entailed. This is one of our lower months for groceries since we’ve been here, but not by much. We try to eat a high-quality diet consisting of whole foods, so food isn’t something we pinch pennies on. Over time, we hope to lower this expense as we grow more and more of our own food and look into hunting for our meat. But that day is not today! We only at one once this month. We’ve actually been on a night schedule (sleep all day, work all night) so we got off of the island once to grab a bite to eat while businesses were still open! The food was terrible which was a good reminder why we cook at home most of the time. The cats haven’t been eating much… they are eating half of their normal amount. I think this is because it’s too cold and snowy for them to be outside, so they spend most of their time indoors with low activity levels. Read all about our homemade cat food here. This month we bought ear plugs (sometimes required for good sleep! ), fuel treatment and a couple thermometers for the inside of our cabin. We probably grabbed coffee when we were in town three to four times. At least one person has commented that we could save $30-$50/month by not drinking coffee and this is absolutely correct. That said, it won’t really help us accomplish our goals quicker so instead of saving $30 by having coffee at home, we choose to spend our time building our residual streams of income or saving money on larger-ticket items. Be fully aware of what you spend, and then decide which things make the most sense to cut out. * These are the expenses that it really just takes to run our household. Your household will likely be different based on the number of family members, how often you eat out, the type of food that you eat (organic vs. not, meat vs. carbs, etc. ), pets, coffee, gym memberships and other household needs. We have been running our generator A LOT because we are at home almost 24/7, working online. Our MacBook Pros don’t last a super long time on their battery (especially when editing videos on Adobe Premiere Pro!) so we have to fire up the generator to charge them back up, and then we frequently have at least one incandescent light on because our LED lights feel way too dull. Sometimes we just need extra light. This does drain the battery a little bit quicker. All things considered, $150 is not bad for our electricity needs. We went through quite a bit of propane in January… our highest month yet. The previous month was $35. We definitely had some cold snaps in January and while we try to turn the heat off while we sleep, some nights were so cold that we had to keep it on with cupboards open so that nothing froze. This expense will be almost non-existent in summer, especially if we cook more with our sun oven. We took two showers this month, and oh how wonderful they felt! Aside from that, we just take quick rinses in the trailer. It gets the job done, does an equally great job of keeping us clean, but is no substitute for a 15-minute hot shower. This is a predictable expense. We fill up our (8) six gallon water jugs in town 1-2 times per week. Check out our latest post on how we are handling our water when living in an rv off grid. It turns out than when we’re not working on the property, there really is no need to do laundry frequently. I think we did maybe four loads in January. Our internet is really only $65/month but we chose to pay the $300 installation fee over six months rather than up front. We have four more months to go. * This includes typical household utilities including power, heat, air, water, internet, etc. We bought a used Subaru Forester a while back which was a great investment. It hasn’t lost much of its value in two years and we plan to pay off the loan in the next year. For our lifestyle, this was a much better investment than the brand new car that we sold just days prior to moving to our land. We only fueled up the Subaru once in January. This was our lowest month yet on fuel usage. * This includes anything related to vehicles that we drive. We have a 2006 Subaru Forester and a 1990 Ford F150 that stays fairly stationary. Our land cost $45,000 and we put $5,000 down. The loan is amortized over 15 years with a 5% interest rate. No early pay off penalty. We don’t plan to take the full 15 years to pay off the land, but optimistically hope to pay it off in 1-2 years. Learn about our property here and to find out how we found and purchased this land, read this post. * This includes payments on our land, property taxes, and any improvements we make to the property such as excavator rentals, rock delivery, septic, etc. We’ve been putting a little of this into our black water tank when the temperatures are really cold. This probably isn’t ideal for our septic system but we’re using very small amounts and it seems to be the least of all evils. We’ve decided to start adding HEET to our generator fuel since our generator was running poorly in the cold weather. * These are expenses for things that aren’t permanent… they are consumed, or used up, so we can’t really consider them investments or assets. I made the mistake of going onto Facebook one day only to find that someone was having a moving sale and getting rid of a lot of tools, so we had to go take a look. It turns out we were able to get a Makita metal chop saw, Delta miter chop saw, Makita reciprocating saw, a router and a skillsaw for $240. I think we got one more tool as well but it’s not coming to me at the moment. We didn’t plan on purchasing any tools this month but when you know of a great opportunity, it’s really hard to pass it up. We have a 0% interest rate on our generator for a total of 18 months. Hope to get this paid off early in the year. * These are expenses that should only happen one time, or at least very infrequently. These generally are quality tools and building materials that are reusable. Did you enjoy this post? If so, help us produce more of them! We put a lot of work into bringing you the best content possible. Learn how you can support our blog here, without spending a dime! I am an aspiring homesteader on a journey to become self-sustainable and free. In my past, I've worked corporate jobs to make ends meet and get ahead a little; it didn't make me happy or confident in my future. Since taking the leap to self-employment and living a more simple life, my happiness levels have increased greatly and I've never felt more alive. I finally understand what I want in life and how to get there, and that is what this blog is all about. What about the expense for fuel / insuranace on the Ford truck you bought or don’t u drive that truck in the winter months. I myself have 2 half tons 1 that is 4 wheel drive which we drive in the winter months and another 2 wheel drive with a larger bed that we use when there is no snow on the ground up here near Edmonton AB. Hi, I am wondering what you do for health insurance and if you do why you don’t list it under expenses…it is so expensive! It looks like you are really getting these pesky expenses coming down. How is the wood stove doing on those really cold nights? Do you think the cats would run and play out in the wood stove area to get exercise? Just a thought…. Buying Health Insurance or letting it ride and paying Obama Penalty? You’re right… two showers a month would be unbearable!! We do shower almost daily in our travel trailer, but they are really quick rinses. I wash my hair every other day or so which takes more water… but we only have so much hot water so by the time I rinse off and wash my hair (water off when I’m lathering or shaving) the hot water has run out. Twice 1-2 times a month or so we give in to the truck stop shower that has unlimited hot water for $5. Let me tell you… you don’t know what you have until it’s gone! 1st off Thanks so much for documenting what you are doing so others can realize the input. I joking live Vicariously thru you since I’m stuck in a 9-5, but yearn for a life outside. Love the transparency of showing what it actually costs to go off-grid. Are you going to have a post soon about upcoming garden plans? Are you going to Timber frame your home? Cut Trees to Season? I know a great gift idea for your Husband that I have personally used and found valuable, not sure if I should post it if you want it to be a surprise. *Took note of the Amazon Promotion and payment, so hope you can get the benefit. Hey Dustin! Thanks so much for the donation… it means a lot! We do shower almost daily in our trailer, but we may splurge on an extra, extra-long hot shower at the truck stop! It definitely is a luxury! We are actually talking about starting our garden so we may do a post on that… basically just getting things ready as we have time. We are beyond overwhelmed at the time of me writing this so we’re having many heart-to-hears about picking our priorities for the year. Yes we are planning on timber framing our house (and barn which will be first) and are scheming ways to make that happen afford-ably as well… likely a combination of cutting down our own trees and finding great deals in the community on beams and what not. I’m intrigued at what you use that is valuable, if we’re not already using it! Always love to hear of new tools that make life easier Thanks again for the support… glad to hear you’re enjoying the documenting of this journey! Hopefully if you plan on doing anything remotely similar, that you find some motivation in our blog! Here is a great item for your Husband, or you could learn to do the chains in your leisure. Saves $10 and a trip per your post. I see you have their mill.